As an avid online retailer, you know that it pays to optimize eBay listings for mobile device users. OCDesignsonline is the trusted name in the industry for online sellers and service providers who are ready to reach out to a worldwide audience. Yet some of our clients are wondering about setting up eBay listings and mobile users’ ease of navigating these websites. So here, we’ll talk about how to optimize eBay listings for mobile users but if you’re using our templates, yours are already optimized! With the ubiquitous nature of mobile devices, there is little doubt that more and more online business is conducted with phones, tablets and similar devices. In fact, industry research has proven that up to 30 percent of purchases are being conducted with mobile devices at this time. The device of choice is the iPad Mini. Catering to this segment of the customer base is crucial for the continued competitive nature of any business with an online presence. 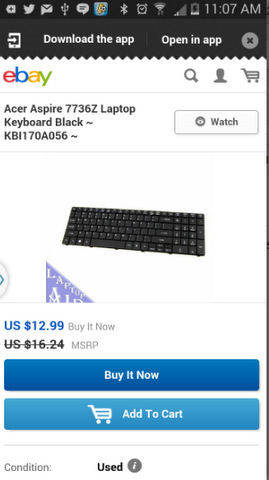 OCDesignsonline has discovered that the mobile listings for eBay sellers using our templates are actually highly functional for users of mobile devices. The templates show up beautifully on mobile browser displays such as you would use them on iPhones, smartphones and iPads. The width display is at 100 percent. While it is true that eBay urges sellers to reduce customized HTML listings, retailers should remember that this suggestion is based on eBay’s own in-house eBay mobile application. Although the app is simplified, it does have some difficulties with the display of advanced code and large images. 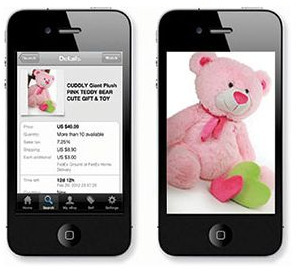 Rather than tweak the app, eBay has chosen to urge sellers to tweak their listings, customization and use of large images. The same eBay listing template on a smartphone! Should you take eBay’s advice and simplify your listing, strip out your image gallery and reduce the features on your listings pages? OCDesignsonline believes that while following this advice may be easier for eBay, it has the long-term potential of harming your branding efforts. Moreover, this simplification of your listings may also adversely impact your sales figures. Remember that there are still about 80 percent to 90 percent of buyers who use either a desktop computer or a mobile device to do their shopping, but only about 10 percent actually rely on the eBay mobile app. By tweaking your listing, you would cater to the 10 percent but neglect the 90 percent. As a result, we discourage the change of the templates or retailer profiles to make the listings easier to display via the eBay app. It is interesting to note that the majority of our templates work well with this app anyways, so there is probably no need to tweak your listing to cater to the 10 percent. While it is always true that omitting unnecessary features is a good idea to reduce scrolling, there is no need to get rid of essential display features. If you like, OCDesignsonline can work with you to set up a mobile-app-friendly layout that can run side-by-side with your current template. After a couple of months, evaluate the rankings and sales. At that time, you may choose to keep your original template or go with the mobile version.